Happy Holidays All Strings Considered Listeners! for Guitar Duet, Trio, or Quartet here. It should be a great piece to bring to your last beginning guitar class or ensemble meeting. Interested in advertising on the podcast? Adam Levin came to speak with All Strings Considered about his Fulbright Scholarship to Spain where he commissioned a whopping 30 new works from 30 leading Spanish composers. He'll be releasing 4 CD's on the Naxos label to exhibit this music over the next several years, the first two of which are already recorded and Vol. 1 is out! In his interview you'll hear about his collaborations, his great chamber music recordings, music from his many albums, some great new works for the guitar, and get to know a bit about Adam while laughing at his great sense of humor. All Strings Considered Merch now available here! T-shirts, mugs, hoodies, even a flask, oh my! 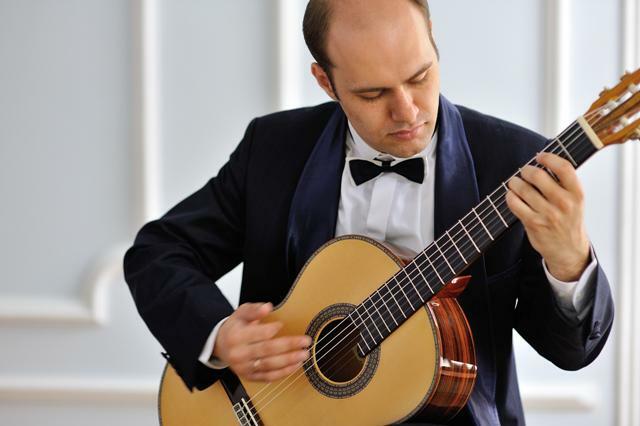 Coming fresh out of his GFA lecture on the same subject, Dr. Alexander Dunn speaks with All Strings Considered about his new guitar quartets, adapted from quartet arrangements Turina made himself for the then famous Aguilar Laud Quartet. You'll hear about Turina's life during these fruitful collaborations with the Aguilars, coincidentally taking place around the time he began writing his famous solo guitar works. You'll hear Alex, along with Randy Pile, Robert Ward, and myself, play these new works for the classical guitar, as well as Alex's solo arrangement of Ligeti's Sonata for Cello, and his insights into Turina's compositional process and life in the 1920s and '30s. While Irina was here to judge and give a concert at this year’s GFA here in Southern California, she found some time to chat with All Strings Considered. You’re going to love her playing, she has a beautiful sound, exhibiting a maturity in her playing that is well beyond her years. She never sounds forced or self-conscious. On today’s show you’ll hear her recordings of Bach and Jose Maria Gallardo del Rey, as well as a piece from her brand new CD of music by Russian composers. Hear about her journey to becoming the internationally known and respected concert artist, a journey that hasn’t always been an easy one. You’ll also hear how she prepares for recordings as opposed to concerts, some specific advice for women, her experiences as a new mother and touring artist, and her very personal way of creating her programs. Evan Hirschelman stopped by for an espresso and to talk about his music, his upcoming technique book Classical Guitar Chops, and his inspired take on extended techniques in his text, Acoustic Artistry: Tapping, Slapping, and Percussion Techniques for Classical & Fingerstyle Guitar. To exemplify these techniques, we will listen to Evan’s homage to steel-string, fingerstyle guitarist, Michael Hedges, and hear how that composition later paved the way for Evan to write another Hedges-influenced work for the Grammy Winning Los Angeles Guitar Quartet’s album, Guitar Heroes. You’ll hear Evan discuss his compositional style and process, speak on finding an original voice in interpretation, and of course, get to know Evan’s recordings, including an exclusive All Strings Considered live performance of his new work, Meditation. Rovshan Mamedkuliev, Russian/Azerbaijani guitarist, and winner of the 2012 Guitar Foundation of America International Concert Artist Competition, stopped by to chat with All Strings Considered right towards the end of his 2013 international tour. Rovshan gave us notes on preparing for the GFA competition, talks about his choice to play the ever-popular Capricho Árabe in the competition final, and you’ll hear that performance. He also introduces us to his arrangements of piano miniatures by Azerbaijan composer Fikret Amirov, Ivushka by Russian guitarist and composer Sergei Rudnev, and the GFA set piece for that year’s competition, Andrew York’s Just How Funky Are You. This episode of All Strings Considered departs slightly from the nylon string world to explore contemporary styles with guitarist Richard Smith (although you will hear some nylon string playing from Italian Francesco Buzzurro on their collaborative album). When I met Richard, he was the department chair of the Studio/Jazz Guitar department at USC, and along with USC’s fairly new Popular Music program, Smith has since refocused his teaching duties from jazz to emphasize more contemporary and popular music styles. We will reap the benefits of that popular music knowledge here today, as he will give us some great songwriting advice. Smith’s forte is in smooth jazz and jazz fusion and he utilizes this genre to explore a great variety of styles, his latest being Argentine tango with a healthy dose of electronica. You’ll also hear him discuss the bad rap given to smooth jazz, along with some incredibly poignant suggestions for those determined to pursue a career in music. “The Montes-Kircher recital was all that one might have hoped for, quite glorious in both musical and technical terms. This pairing has the power to move, a truly rare gift." 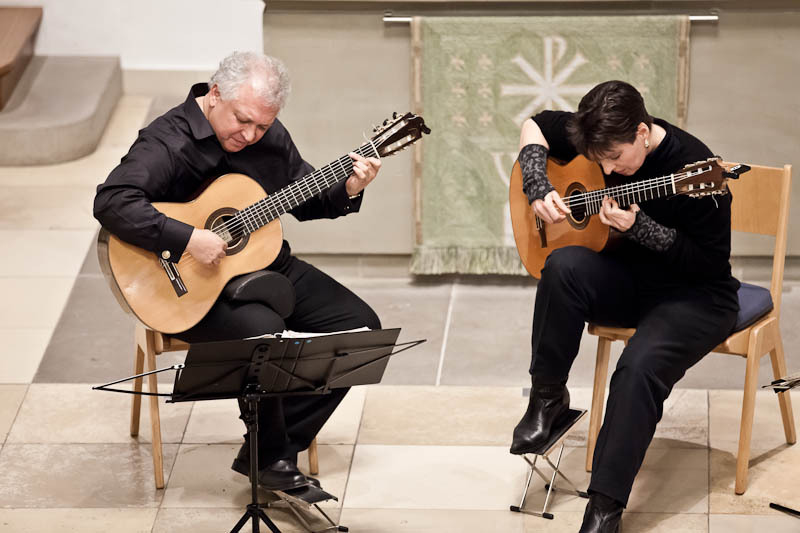 Duo Montes-Kircher consists of husband and wife pair, Alfonso Montes and Irina Kircher, who have been playing together as a professional guitar duo since 1984. Their long list of recordings often serve to commemorate their long history together, several of their CDs are actually subtitled with that year’s anniversary, three of which are their 10th, 20th, and 30th. On today’s show you’ll hear about their somewhat unorthodox rehearsal style, several of Alfonso’s compositions, about their time studying with Venezuelan legend Antonio Lauro, and about their interesting choice to quit university-level teaching in favor of a more youth oriented approach. You’ll also hear about Montes’s time as a Venezuelan diplomat, and even how Kircher had to fail the L.A. philharmonic’s very own musical director and conductor, Gustavo Dudamel, and in chamber music no less! Hear Italian virtuoso Aniello Desiderio play stunningly original interpretations of Albeñiz, Scarlatti, Carulli, Vivaldi, and even Paco de Lucía. Desiderio discusses the importance of finding one’s own voice as a performer, especially with regard to imagination, emotion, and sincerity. 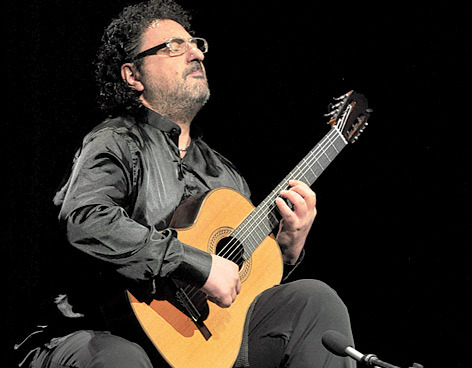 He passes on some valuable wisdom gained from his conversations with Leo Brouwer and cellist Mischa Maisky, he creates a distinction between playing concerts and playing in competitions, and he also expresses his admiration for the recently departed luminary of the guitar world, Paco de Lucía. Finally, Aniello gives us a lesson in authentic Italian cooking with his recipe for Spaghetti alle Vongole (Spaghetti with clams). Heat olive oil in a large saucepan at medium-high. When the olive oil begins to shimmer add garlic and cook until lightly browned, probably about 30 sec. Add clams and cover for about a minute. They will release a lot of water into the pan. Cook until water is reduced (probably by half but it depends on how much water was in the clams). Add pasta and Peperoncino, and cook for about a minute on high heat, stirring all the ingredients together. Turn off heat and serve, top with parsley and parmesan. 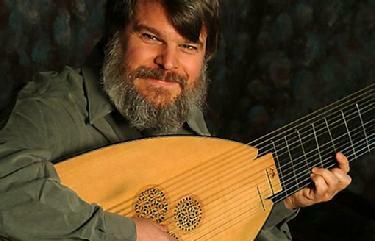 World-renowned early guitarist and lutenist Paul O'Dette gives us a great lesson on the development of tuning systems, also known as temperament. He takes us from Pythagoras's early discoveries, yes the famous mathematician, up to the present day equal temperament. Guitarist Capital brings us his great blend of Brazilian music incorporating pop, funk, and jazz influences, with pre-release tracks from his new project Bossa Zuzu, and his solo album "Floats on Flat Tires." And hear Capital extoll the benefits of classical guitar technique applied to all these styles. Capital also discusses his connection to the amazing composer and guitarist Guinga, speaks on Brazilian music, his time in Japan playing hip hop, the Bay area music scene, and more! Capital co-leads the original Bossa Nova group Bossa Zuzu and has been featured on over 25 recordings from Rock to Hip-Hop to Brazilian, alongside artists such as Peter Erskine, Airto Moreira, American Idol's Crystal Bowersox, Paulo Calasans, Otmaro Ruiz, Hussain Jiffry, Marco Bosco, Swing Out Sister, Ken Okulolo, Kenneth Nash, Del The Funky Homosapien, Ken Ishii, DJ Nozawa, Shing02 and more. He has toured extensively performing festivals and concert halls, live on TV and radio in the U.S., Canada, Japan and Brazil. 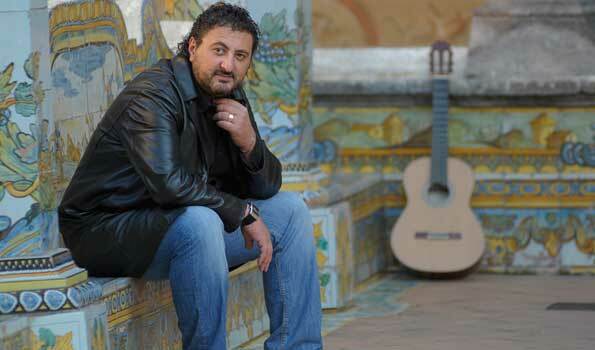 Hailed a "flamenco phenom" (Boston Globe) and one of the "hottest flamenco guitarists to emerge in recent years" (NPR). 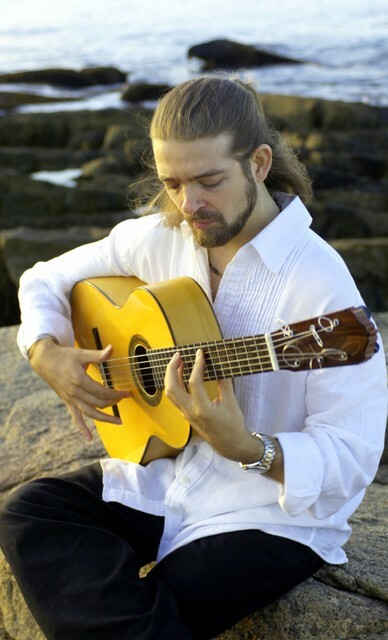 Allow me to introduce you to Boston-based flamenco guitarist "Juanito" Pascual. Like so many American guitarists, Juanito Pascual's guitar journey began with a heavy dose of the electric guitar greats like Jimi Hendrix and Eric Clapton, progressed to jazz, and inevitably turned to flamenco. With a Bachelor's in Contemporary Improvisation from New England Conservatory and having studied with Adam del Monte, Parilla de Jerez, Manolo Sanlucar, El Entri, classical guitarists David Leisner and Eliot Fisk, jazz guitarist Gene Bertoncini, and Boston-based maestro Dimitri Goryachev, Juanito brings these diverse musical experiences together with his latest release, Juanito Pascual New Flamenco Trio. Today on the All Strings Considered Juanito talks about his progression through these various styles, and about being an American taking part in the flamenco tradition; which generally means being compared to musicians who have been immersed in that complex musical language since birth. As a result, Juanito has adopted an inspiring philosophy for approaching flamenco, and additionally discusses improvisation, as well as his struggles and success in overcoming chronic hand problems. You’ll also get to hear an exclusive pre-release track from Juanito Pascual New Flamenco Trio, to be released this February! Using a cappuccino to bribe John Dearman to stop by, he talked about his experiences as a member of the Grammy Award-winning ensemble, the Los Angeles Guitar Quartet. We had a great conversation about how they rehearse, the keys to their success and sheer staying power—the group is now in its third decade—their particular group dynamic, as well as his great suggestions on arranging and transcribing for guitar quartet. Winter is the perfect time to listen to Tchaikovsky’s Nutcracker Suite, and with heat waves all over the U.S., it seems all the more appropriate to hear it from a guitar ensemble based in Los Angeles. Additionally, you’ll hear the L.A.G.Q. (John Dearman, Scott Tennant, William Kanengiser, and Matt Greif) play selections from their amazing version of El Amor Brujo, a Jobim medley from their recent release Brazil, and lot’s more. Continuing my conversation with John Dearman, here’s a short with a few podcast recommendations and another great piece played by L.A.G.Q. : Bellinati’s A Furiosa. 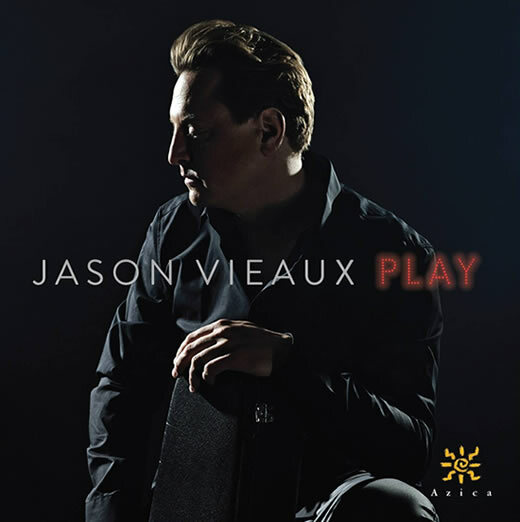 Jason Vieaux is an incredibly hard working performing artist and teacher. 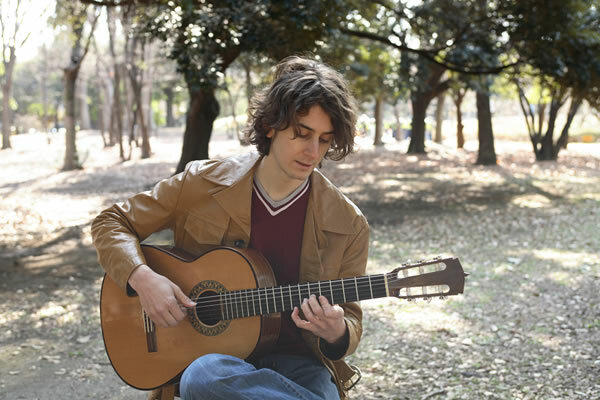 He is in high demand for solo guitar and chamber music concerts in major festivals all over the world. Vieaux has also been featured soloist with over fifty orchestras, and is a dedicated recording artist having close to a dozen albums to his credit, as well as serving on the faculties of both the Curtis and Cleveland Institutes of Music. 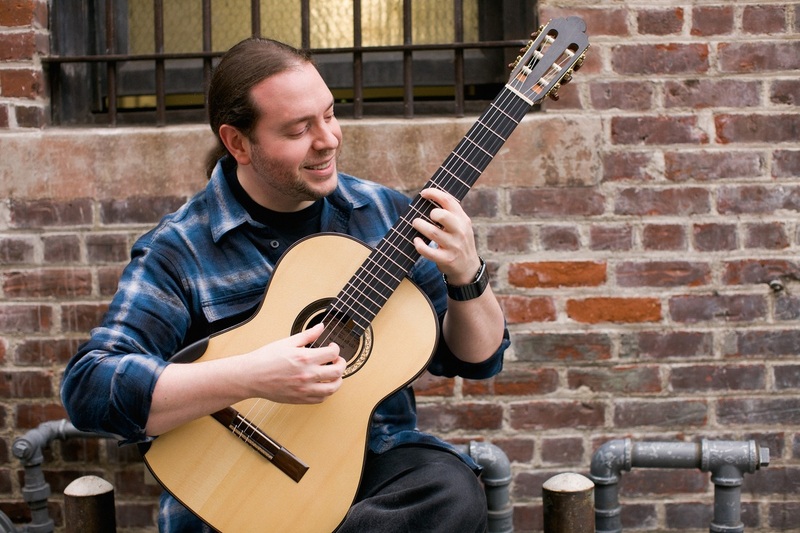 On the show today he talks about his new online lesson website, about his upcoming album, Play, which features virtually every classical guitar encore piece in the repertoire, about his recording process, his collaborations with A Far Cry and Julian Labro on his Piazzolla CD, and more.